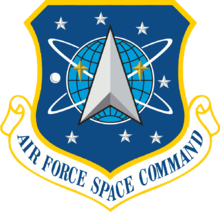 The Space Innovation & Development Center (SIDC), formerly the Space Warfare Center (SWC), is a military unit of the United States Air Force. It is directly under Air Force Space Command (AFSPC) and resides at Schriever Air Force Base, Colorado. The Space Innovation and Development Center at Schriever Air Force Base, Colo., is "unlocking the potential" as premier innovators, integrators and operational testers of air, space and cyberspace power to the warfighter. The center's mission is to advance full-spectrum warfare through rapid innovation, integration, training testing, and experimentation. In the fall of 1992, an Air Force Blue Ribbon Panel on space recommended establishing a dedicated Space Warfare Center to exploit the capabilities of space-based assets. Combat operations during Operation Desert Storm relied on space support more than in any past conflict; however, an analysis of these operations revealed shortfalls in the Air Force's ability to leverage space capabilities. In order to better exploit space capabilities, the SWC was stood-up and officially dedicated on Nov. 1, 1993. The SWC was redesignated as the SIDC March 1, 2006. Today, the SIDC supports the Global War on Terror by expeditiously transitioning innovative combat effects to the warfighter. The center also improves exploitation of air, space and cyberspace capabilities through wargaming, exercises, experiments and space range development. The SIDC provides independent, thorough space and missile operational testing results for Headquarters Air Force Space Command. The SIDC is composed of the 595th Space Group and these three divisions; the Air Force Tactical Exploitation of National Capabilities, or AF TENCAP; the Integration Division; and the Plans, Programs and Requirements Division. The organizations work together to conduct wargaming; integrate space into exercises and experiments; rapidly prototype, field and exploit integrated air, space and cyberspace capabilities; provide advanced space testing, training and range Infrastructure; and execute AFSPC Force Development Evaluation and Operational Test programs. In 1977 Congress directed the establishment of AF TENCAP with three primary missions: exploit space systems for tactical applications through rapid prototyping projects; influence the design of future space systems for tactical applications; and educate warfighters about the capabilities and tactical utility of space systems. TENCAP demonstrates leading edge space technologies with potential to enhance combat capabilities of units in the field, then transitions these combat systems to warfighters much more rapidly than traditional acquisition processes. TENCAP is responsible for keeping abreast of the latest technologies and influencing emerging space systems to make them more supportive of fielded combat forces. The Integration Division, or ID, brings space to the fight by focusing on the integration of air, space and information operations to create aerospace power for warfighters. ID operates two specialized facilities. The Distributed Mission Operations Center for Space (DMOC-S) conducts exercises and mission rehearsals in support of current-day operations and provides machine-to-machine interfaces to present exercise status to players as if it were real world. DMOC-S support includes space injects, such as missile launches, blue-force tracking data, and Combat Search and Rescue injects. The DMOC-S is designed to provide integration support and testing. The Aerospace Fusion Center provides real-time data fusion systems for targeting, intelligence, weapons of mass destruction warning and enhanced missile defense operations. ID's Wargaming Branch promotes the understanding and effective use of space power through modeling, simulation and analysis. A principal focus of the division is to provide models, simulations and operators for space participation in wargames and exercises. Currently, the branch supports Counter Air Force exercises and Title 10 wargames by providing missile threat and warning models, Global Positioning System navigation accuracy models and space operational and analytical expertise. Plans, Programs and Requirements, or XR, is the backbone of the SIDC, providing overarching support to all other SIDC divisions. XR manages SIDC communications and computers, security, acquisition, logistics, policy, planning, programming, financial support, manpower and personnel. XR is the SIDC commander's authority on reviewing, coordinating and consolidating all SIDC inputs to AFSPC Directorate of Strategic Plans, Programs, Analysis, Assessments and Lessons-Learned Modernization Planning Process and AFSPC Directorate of Plans and Requirements' associated Requirements Generation System. XR also serves as the SIDC's representative for the Chief of Staff of the Air Force's Air Force Smart Operations for the 21st century initiatives. As the lead SIDC programming and requirements agency, XR integrates SIDC views and initiatives into these AFSPC-level programming systems to solve warfighter deficiencies through space capabilities. As the SIDC's executive agent for the submitting program objective memorandum inputs, XR develops strategy, policy, doctrine and long-range plans to control and exploit space. XR programs and advocates manpower, resources and organizational development for long-term success of the SIDC's mission. The 595th SG is responsible for planning, managing and executing HQ AFSPC's intercontinental ballistic missile and space systems operational test and evaluation activities. The 595th SG is the focal point for coordinating all test activities between HQ AFSPC, 14th Air Force, 20th Air Force, space wings, test squadrons and external agencies. The 595th SG comprises four squadrons and one flight: 595th Operations Support Flight (595 OSF), 17th Test Squadron (17 TS), 14th Test Squadron (14 TS), 25th Space Range Squadron (25 SRS), 3d Space Experimentation Squadron (3 SES). The mission of the Space Battlelab was to directly support combat operations through innovative and revolutionary applications of space systems. Its goal was to turn around projects at low cost within 18 months. Two flights performed the operations. The Concepts Development Flight ensured that the Space Battlelab was focused on the most pressing operational problems and determined the best available solutions. They produced a detailed campaign plan as a guide for the second flight, the Demonstration Flight, to rapidly show the effectiveness of a proposed solution in an operational environment. Drawing on test experts such as Air Force Operational Test and Evaluation Center (AFOTEC) and the 595th Space Group, Battlelab project managers used modeling and simulation, wargaming, exercise evaluations and prototype demonstrations to quickly measure military value of promising concepts. The overall effectiveness of a technology was captured in a final report that provides detailed analysis of demonstration results and recommendations for concept transition. The Air Force Space Battlelab stood down in an inactivation ceremony on 2 November 2007 after ten years of operation. The inactivation completed Chief of Staff General T. Michael Moseley's direction to inactivate all Air Force battlelabs. ↑ Air Force Space Command establishes new Space Battlelab, Capt. Cliff D. Ozmun, 50th Space Wing Public Affairs, 7 July 1997. ↑ SchrieverAFB News: Space Battlelab stands down after 10 years, posted 19 November 2007.